Today's post is a third shot of the same composition from the corner of the rooftop at Tribune Tower. I took this same shot with three different lighting conditions: Daytime, Blue Hour, and now night. The photographer in me prefers the blue hour shot since it is such a small window of time where the lighting is most unique, but the Chicagoan in me can't help but prefer the below nighttime version, as I believe it is the truest representation of the city (and I mean that in a good way). 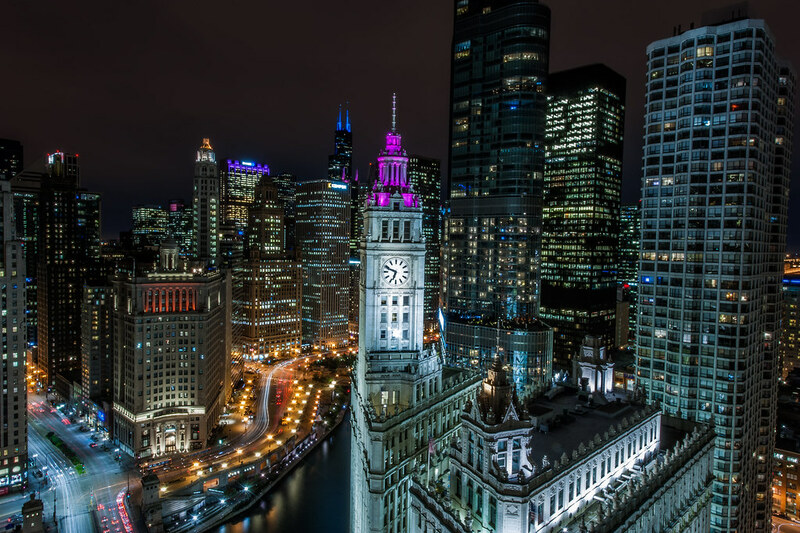 The nighttime version of this spectacular view from the Veranda of Tribune Tower.